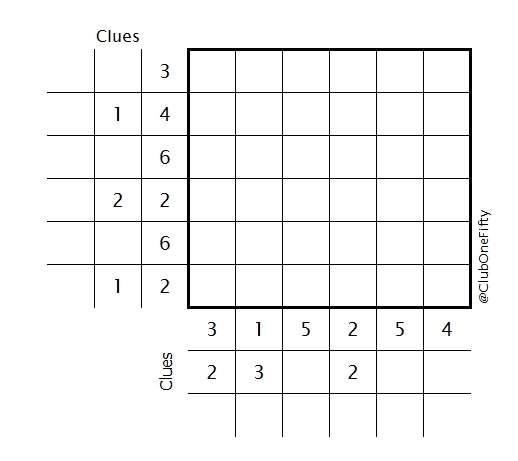 Your mission is to determine which of the squares in the grid that should be filled. 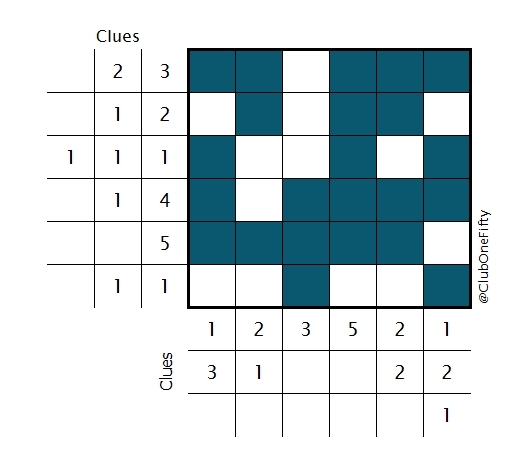 The clues list the groups of adjacent filled-out squares in each column and row. See the example. Any adjacent filled squares must have at least one white square between them and the next set of adjacent filled squares. Click the link below to view the correct answers. 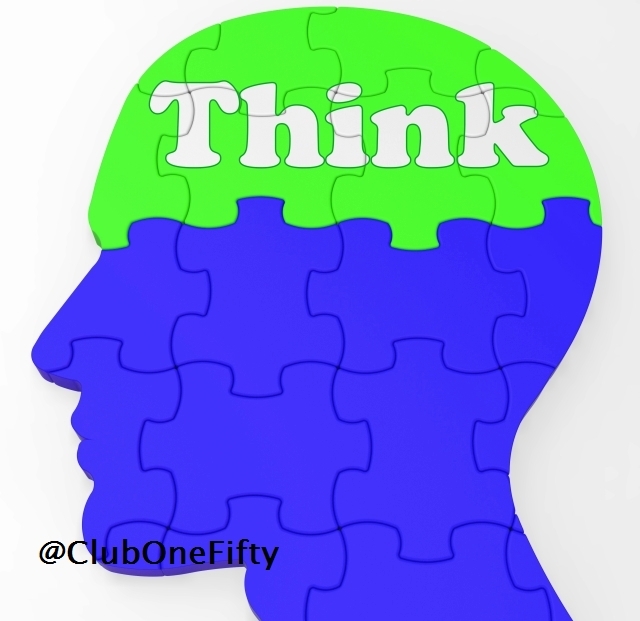 Not yet a member of Club One Fifty? Start your membership – with our Risk-FREE Value-Based Pricing – by sending your contact details.